Mississippi DOT is immediately closing at least 34 local bridges. Under the authority of Gov. Phil Bryant's April 2018 emergency bridge closure proclamation, the Mississippi Department of Transportation (MDOT) was directed March 27 to begin immediately closing at least 34 local bridges. 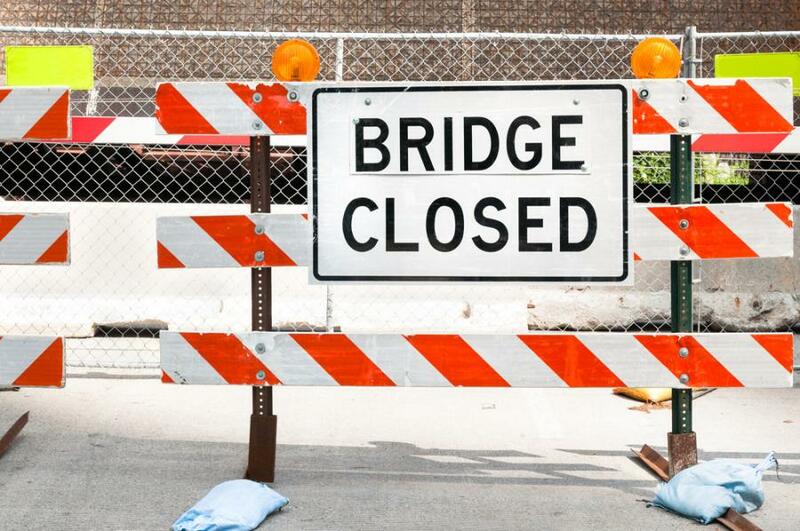 "If these bridges remain open, it will not only present a safety hazard to the traveling public but will also threaten $530 million in federal funding, which is about 50 percent of MDOT's overall budget," said Melinda McGrath, MDOT executive director. According to its most current list, the Office of State Aid Road Construction discovered 34 deficient bridges were open to traffic. State Aid ordered counties to close some of the listed bridges by September 2018. State Aid is a separate state agency that enforces federal guidelines for county and city-owned roads and bridges and does not report to the Transportation Commission or MDOT. "MDOT and the Department of Public Safety will begin immediate closures to prevent danger to the traveling public," McGrath said. "While MDOT understands closed bridges are inconvenient, open bridges at risk of imminent failure are a detriment to public safety." In April 2018, FHWA notified State Aid that many of the most dangerous bridges were not in compliance with federal bridge guidelines. FHWA warned if the bridges were not immediately closed, Mississippi would be in danger of losing federal funds. In response, Gov. Bryant directed MDOT and the Department of Public Safety to immediately close over 100 noncompliant bridges. Since bridges are inspected at least every two years, bridges are added to the list as deficiencies are found. Counties with deficient bridges that remain open may become ineligible for emergency MIMA funding. "MDOT appreciates Gov. Bryant's commitment to public safety and will continue to work with State Aid and local government to ensure compliance with federal guidelines," McGrath said. For the updated list of closed bridges, visit www.msstateaidroads.us.